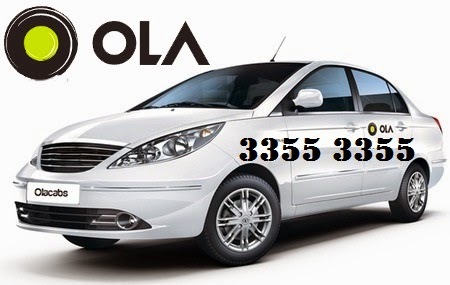 Hello Friends After Another Very Good Offer Is Here, OLA Cab Is Offering Free Rs. 300 For Every New User To Book Cab And Rs. 200 For Existing User To Book Free Cab In Your City. As You Know Guys These Days Taxi Companies Are Growing Very Fast In Mostly Cities Due To Very Easy Booking Of CAB/TAXI And Very Comfort Ride. So In This Field Different Taxi Companies Are Here And They Offer Every Day New Offers To His Customers So We Are Going To Provide You Every Deal Is Here. Now We Are Going To Tell You Each Steps How You Get Rs 300 Ola Money For Free Ride. 1. First Of All Download "OLA Cabs - Book Taxi In India" Mobile Application. 2. Open The App And Click On Sign Up Button. 3. Now Enter Your Details And In Last Where Written Enter Your Refer Code Enter. 5. As You Enter OLA100 You Will Get Rs. 100 Off On Your Ride. 6. To Earn More Ola Money You Can Refer Your Friends And Family Members. If You Hyderabad Users Use Coupon Code: CC100 Get 50 Off On Your Next 7 Auto Rides. If You Still Any Problem Comment Below So We Help ASAP. Hello friends wechat wereward Program is back again as you know wechat is popular social messenger service and wechat continuously offers new reward program to its user to engage more customers. So they again come up with Rs 150 Free recharge, exclusive shopping vouchers and some great prizes also.For getting this you have to install their app and use it 25 days more details we are giving below please Follow steps. This Offer Period Will Be: - 1 July to 30 July 2015. 2. Now Sign Up or Login Account to Your Mobile Number. (If You Don’t Know Your Password Click On Forget Password). 3. Check Offer From Here - Click On The First Tab >> Chat, Open >> “WeChat Team” Message – Check WeChat Rs. 250 Free Balance Offer Or Clicking On The >> Rewards >> My Balance. Just Do The Following Daily To Maintain & Claim Your Free Balance. >> 1 - 25 July: - Create A Friends Group And simply Send A Sticker In A New Or Existing/Old Group Of Friends DAILY till 25 July. 1. You Can Maintain & Claim Your Complete Free Balance of Rs.250 by Doing above Activities on All Days from 1 - 25 July. 2. In Case You Join The Program After 1 July, You Will Start With A Lesser Balance. 3. Don't Miss Out On Any Day Else You'll Lose Rs. 10 from Your Free Balance. Note: Please Note That Rs. 250 Free Balance Is Not A 'Mobile Recharge Amount'. You Can Claim This Balance To Get Free Wallet Cash, Cash Discount, and Discount On Food Order. When And How To Redeem Free Balance? 1. Redemption Will Be Open From 11:00 Am On 26 July 2015 To 8:00 Pm On 30 July 2015. You Can Choose From The Following Rewards (See Below). 2. Redeem Balance Go to >> Chat Tab >> WeChat Team Message >> Reward >> My Balance. 3. You Can Redeem Each Reward Only Once In the Offer Period. Redemption Will Be Open From 11:00am On 26 July To 11:00pm On 30 July. You Can Choose From The Following Rewards. Rs.100 Citrus Get Rs.150 Cashback on Rs.50 transaction. Rs.60 Make my trip 30% OFF upto 1000 on bookings. Rs.50 iPhone 6 iPhone 6 for 3 Lucky Winners. Rs.40 Trendin 500 off on 1999 or more purchase. Rs.40 Saavari 200 off on 1300 or more transactions. Rs.30 Voylla 100 off on purchase of 500 or more. Rs.30 Printvenue 150 off on Purchase of 499 or more. Rs.20 Trendin 250 off on Purchase of 999 or more. Rs.20 Moto E 4G Moto E 4G for 5 Lucky Winners. Rs.10 Ferns & Petals 100 off on 500 or more Purchase. So guys wining of prizes and recharge is very easy and without doing nothing so go and particpate this wechat wereward offer now.